Causes of the Civil War. Several events led to the deep divisions between the. North and South. 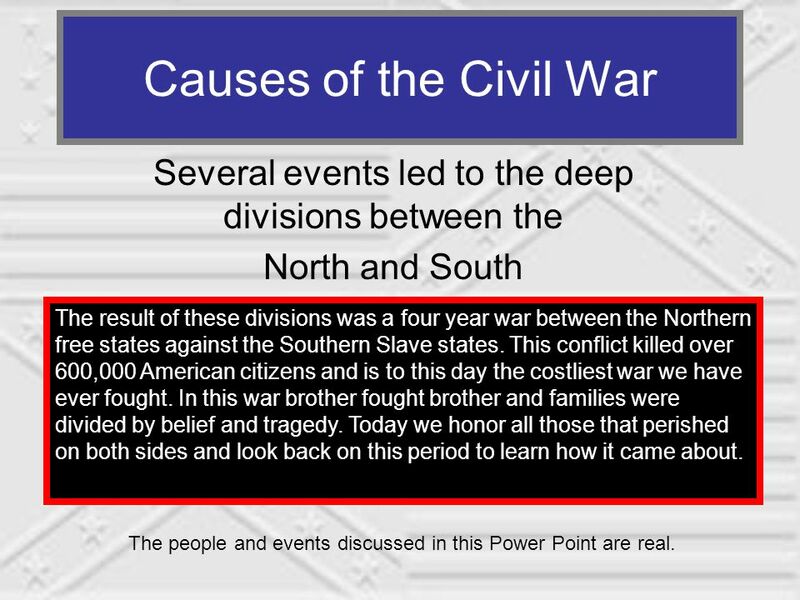 The result of these divisions was a four year war between the Northern free states against the Southern Slave states. This conflict killed over 600,000 American citizens and is to this day the costliest war we have ever fought. In this war brother fought brother and families were divided by belief and tragedy. Today we honor all those that perished on both sides and look back on this period to learn how it came about. The people and events discussed in this Power Point are real.